Straus is in the process of completion of the new corporate headquarters building in Houston, Texas. We were awarded the project in the fall of 2005 through the efforts of Buck Schweer and the estimating group. The general contract is through D.E.Harvey Construction. The construction manager is Hines, and the design team is led by Kendall/Heaton Associates Architects and I.A.Naaman Engineers. The project schedule was designed to be very aggressive. It includes the construction of a new 12-story office tower that once it is occupied will replace the existing building which will be demolished to make way for another 8-story building. All this work must be done while keeping the existing operations up and running. Efforts were made to coordinate deliveries of long lead time equipment so the project schedule could be maintained. Straus Safety team members Butch Baker and Craig Johnson in addition to weekly jobsite visits have both led classes during D.E.Harvey’s scheduled training at the jobsite. We are proud of our safety record and continue to advance our safe work procedures throughout our workforce. 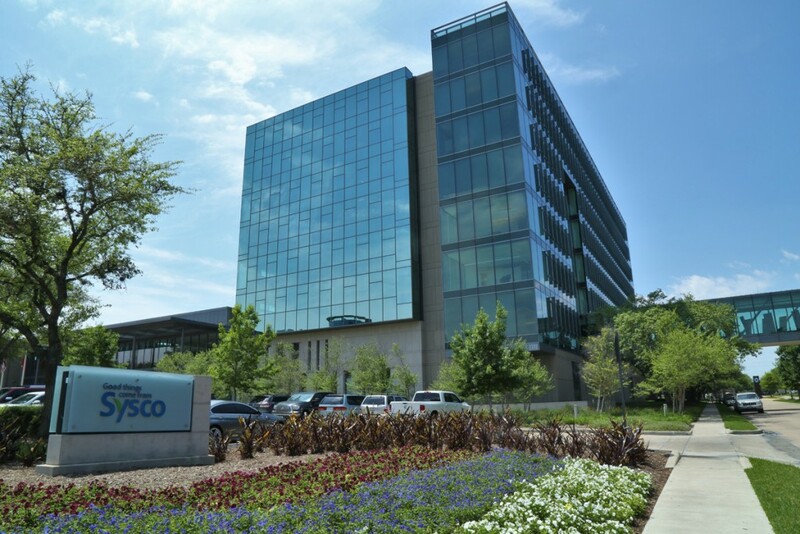 Sysco’s desire for an environmentally sensitive facility requires Leadership in Energy and Environmental Design (LEED) certification of this project by the U.S. Green Building Council. Straus capability to meet the stringent requirements of this certification was instrumental in the selection process. The unique underfloor air distribution system will allow Sysco the flexibility to modify office interiors without the added cost associated with typical remodeling. All systems, including air-handling units, exhaust fans, and OA units have filtration to keep the system clean during the construction of the building. The building automation will allow the owner to maximize the efficiency of the HVAC System.